17,500/18,000 BTU cooling for rooms up to 1000 sq. 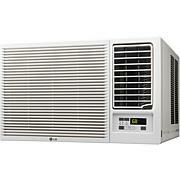 ft.
9,800/12,000 BTU supplemental heating for approx. 550 sq. ft. 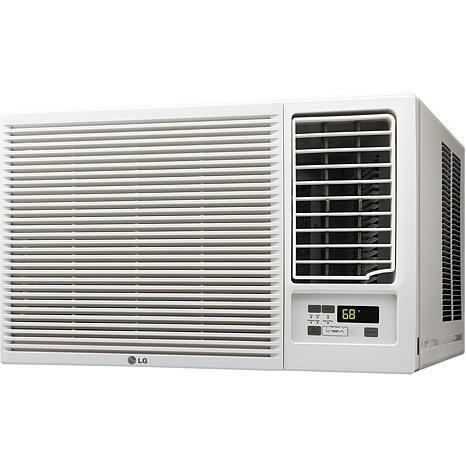 The LG 18,000 BTU 230V window-mounted air conditioner with 12,000 BTU supplemental heat function gives you everything you love about an air conditioner and more! 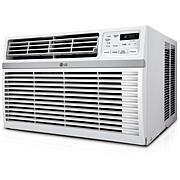 Whether its cold in April or hot in October, this unit has you covered so you can always feel comfortable at home. 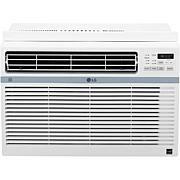 In addition to cooling, this versatile unit offers supplemental heating, providing you with an additional heat source to your main heat source when outdoor temperatures are above 45 degrees Fahrenheit. PLEASE NOTE: This unit requires a special 230V electrical outlet and will not operate with a standard 115V household electrical outlet.